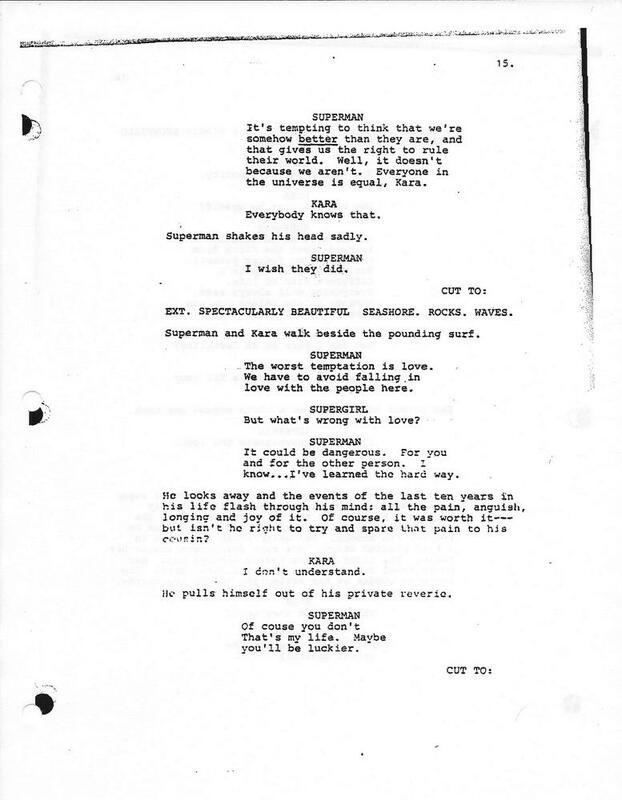 Now that the long-awaited team-up of the Man of Steel with the Maid of Might has finally made its successful screen debut, (albeit on television) SUPERMANIA goes once upon a time-warp to investigate just how & why the opportunity to do this some thirty years earlier on the big screen was lost. 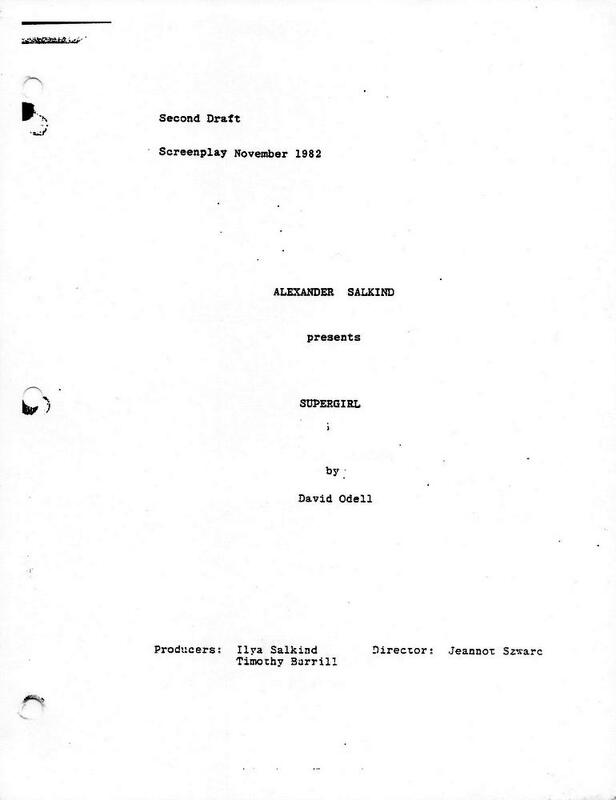 With the latest addition to the collection of a second-draft script (Dated November 1982) produced by Alexander Salkind and written by David Odell, could the mystery of Christopher Reeve’s 11th hour decision to pull out (forcing last-minute script rewrites) be solved? Would the film have been better received had Superman remained part of the story as originally planned? By late 1982 filming was concluding on Superman III with the general understanding that this would be the last of a ground-breaking, phenomenally successful movie trilogy. By part III, the saga was flailing in terms of concept and script quality and its star was also keen to move on to pursue other roles. 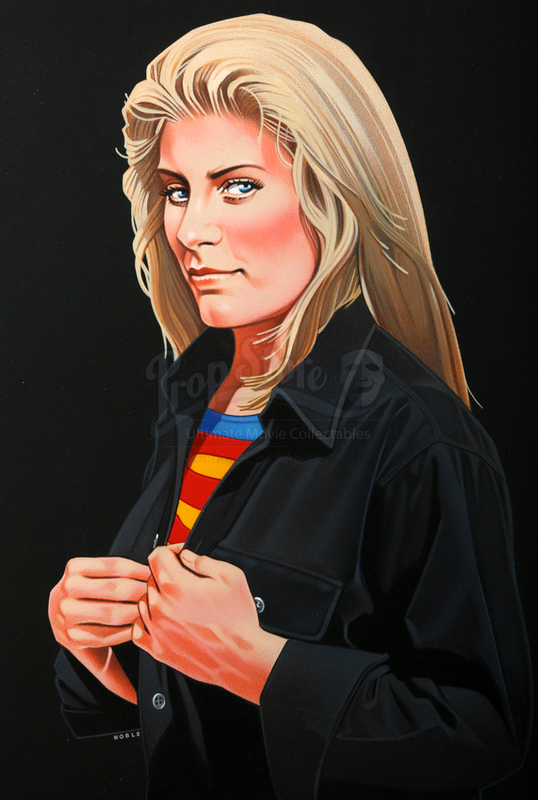 Not yet ready to put their cash cow back out to pasture, however, producers Alexander and Ilya Salkind (cannily having made the deal for the rights to the entire Superman family back in 1976) decided to mount a spin-off series of pictures based on the adventures of Superman’s cousin Kara Zor-El. Supergirl. 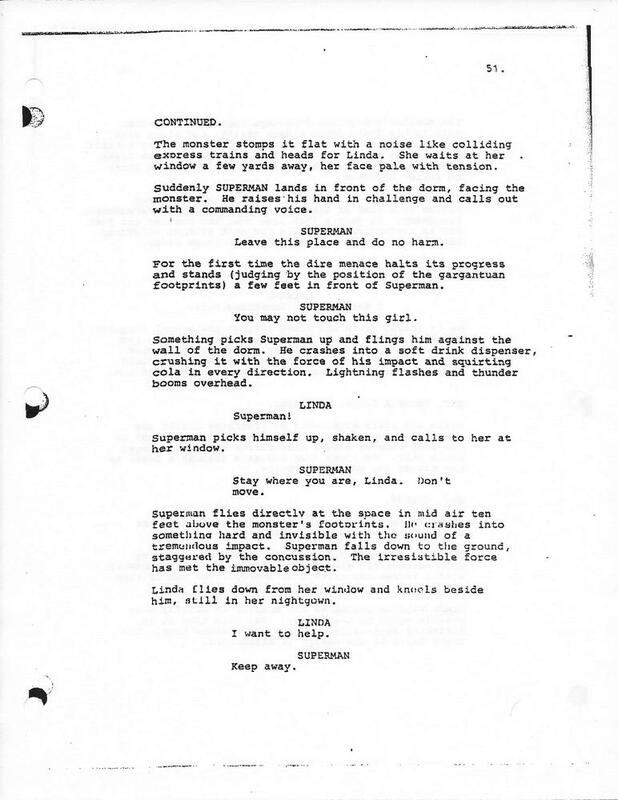 Its surprising for a second draft just how much material made it unchecked into the finished picture – the plot, structure and dialogue in key scenes survived what would have been countless rewrites after Superman’s exit. So what of his role in the story? Evidently, the lack of a Superman forced the creation of the Omegahedron, the power source Kara pursues in the movie to save her home Argo City, from destruction. Keen to capitalise on Reeve’s established audience to springboard their new, unknown star, Superman was supposed to be ready and waiting for Kara’s arrival so he could introduce her to a new world. 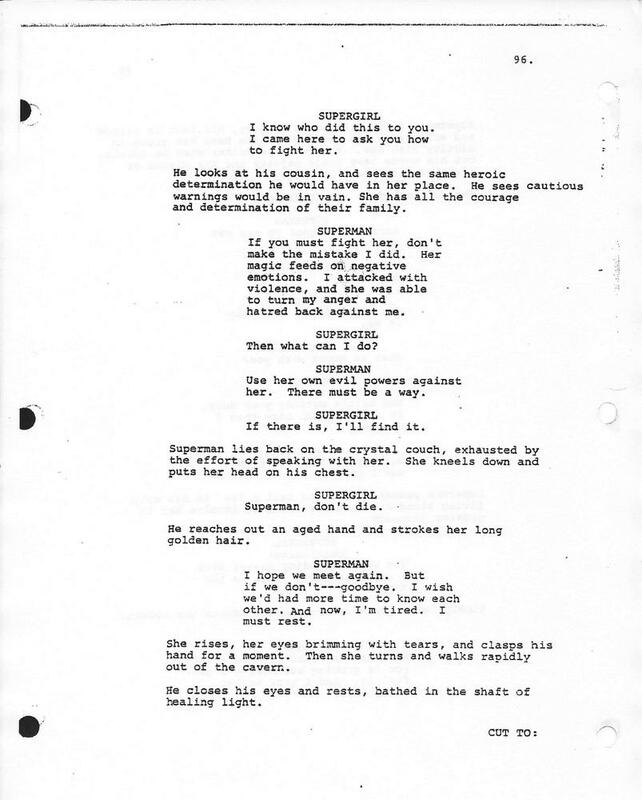 As for insights into what made Reeve reject the script – arguably it may still have been to early to return to the part having publicly made his decision to retire but beyond that, the material presented here was, for want of a better word, garbage. With all the rich story potential this opens up (to say nothing of Supergirl’s comic-book history) it seems incredible Odell produced such a confusing nonsensical mess based around the weak concept of ‘Magic’. The Superman here is not developed in any way and lacks the charm and warmth we associate with the character . In fact, Kal-El and Kara are afforded little time together to build any kind of releationship before Superman gets relagated to a bizarre sub-plot, abandoning Earth for- I kid you not – the ‘Planet of the Healers’ not to reappear until the end. His one big action scene, (the battle with the invisible Shadow Beast shot with Supergirl in the final cut) is played out exactly as in the film ‘Leave this place and do no harm!’ but renders him weak and powerless having been exposed to Selena’s spell. This, alongside the odd Zoltar character (a confused self-involved artist – not yet the scenery-chewing incarnation he becomes) and Jody (not yet Lucy) Lane and poor Jimmy Olsen showing up in once scene do little to advance proceedings. 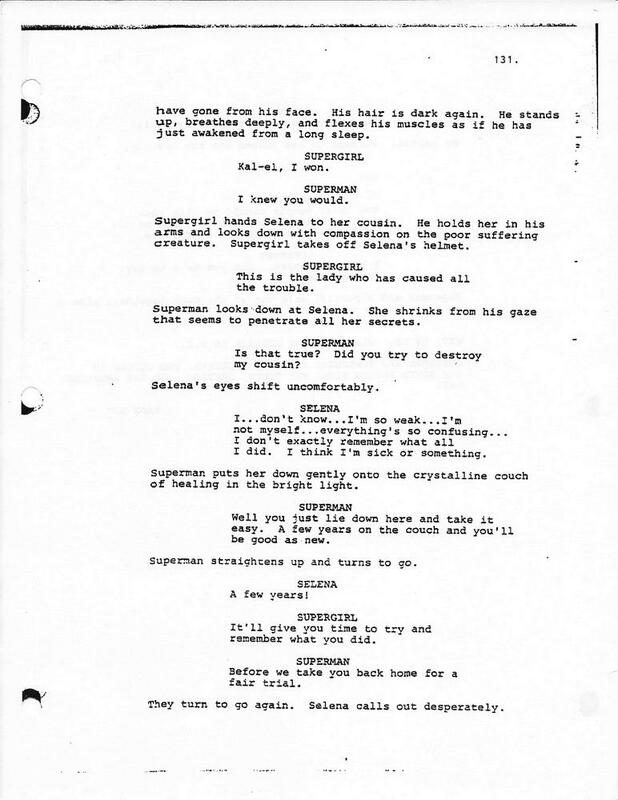 Conversely, the Selena character is given a far more sinister background here as the newly-elected leader of an occult sect – but without the desire for the Omegahedron’s power she’s given no more motivation to take over the world than to win the affections of her dimwit gardener and destroy Supergirl in the process. Its possible the witchcraft illustrated here (including using a severed ear as a communication device!) made the producers nervous about appealing to a family audience so was diluted to the cringeworthy camp which it became. 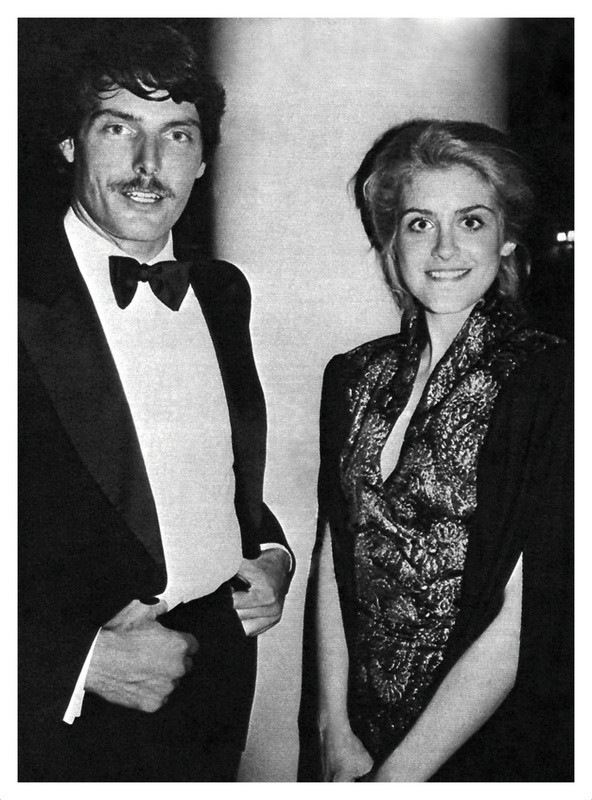 Boy I always wondered what things would have been like had Reeve decided to be in the Supergirl movie and the Salkind’s actually did the original version of Superman III. Just as one might ask themselves what would things have been like if Donner actually said yes to Warner executives in 1985, when they asked him to return following the Salkind’s departure. Imagination’s run wild.